In this article, I will give some example of brands that implement model of monetization. According to B. Bachelot, monetization generally indicates the valorization of an audience of a Web site, a mobile application or a YouTube channel in incomes, except an activity from online sales (E-commerce). Today, Mobile is the digital communication place for brands can engage with people and communicate in the right way. However, do this digital communication place help Brands to implement model of monetization? AT&T, the US’s second largest wireless telecommunications company, has concluded a deal with media powerhouse Time Bros to propose a good content of quality to answer user needs. According to Thomas Gryta, Keach Hagey, Dana Cimilluca and Amol Sharma, reporter for the Wall Street Journal, the goal of this strategy is to move towards the mobile, new place of the battle of brands. AT&T’s CEO Randall Stephenson said “the deal would enable the two companies to move quicker and operate better in a world where people increasingly access content on their mobile devices“, has reported Olivia Solon, reported of the Guardian. According to me, this feature will improve customer experience of YouTube users, help creators to communicate rightly and allow YouTube to monetize his audience by getting data to personalize content to audience needs. 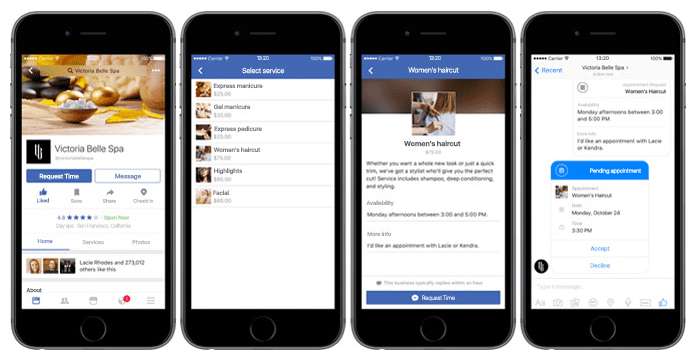 Facebook has also announced last week a series of new ‘Call to Actions‘ to provide users with a seamless mobile experience. Robert Allen, blog writer for SmartInsights website, think that it’s good news for businesses using Facebook pages and that wouldn’t have the resources to create the best mobile experiences. These examples illustrate that brands likeYouTube, Facebook and others, implement model of monetization to improve the valorization of the audience. This means that users must be satisfy with good service from brands to still continue to use mobile applications, websites or social media. Brands should update and personalize good content and innovate with a new product. So, Mobile is a digital place where brands can use to attract new consumers and deliver service to earn money.